COMBINING BLOCKCHAIN, REAL ESTATE AND ARTIFICIAL INTELLIGENCE FOR A SMARTER WAY TO INVEST. Global real estate is worth US$228 trillion. This is 2.8 times global annual income (GDP). ELAD NEtworks mission is to dramatically cut costs and increase the efficacy of real estate transactions and to give everyone the opportunity to buy, sell and invest in real estate! ELAD Network is a Real Estate platform with a difference. By taking advantage of the power of fractional ownership any property can be divided into different sized blocks we can provide investment opportunities from £50 to £50,000 up to the value of the property. Anyone has the ability to purchase these blocks but there are only a limited number available for each property, once owned there will be a monthly return on the profit which is directly relational to the size of the block that you have invested in (fractional ownership). ELAD Network will combine Blockchain, Smart Contracts and Artificial Intelligence technology to create a Cryptocurrency and a Real Estate platform that will give everyone access to the liquidity of Real Estate, the world’s largest asset class. Browse through our catalog of properties until you find one that you would like to invest blocks (shares). View all statistics, monthly returns, documents and history of the property. Decide how many blocks and the value of each block that you would like to invest. Earn a monthly return on your blocks with no hidden fees and true transparency. Payments from the rental income and any appreciation on the property is factored into your monthly returns. Asset ownership is stored immutably and decentralised on the Ethereum Blockchain. This means that your transactions are transparent and secure. 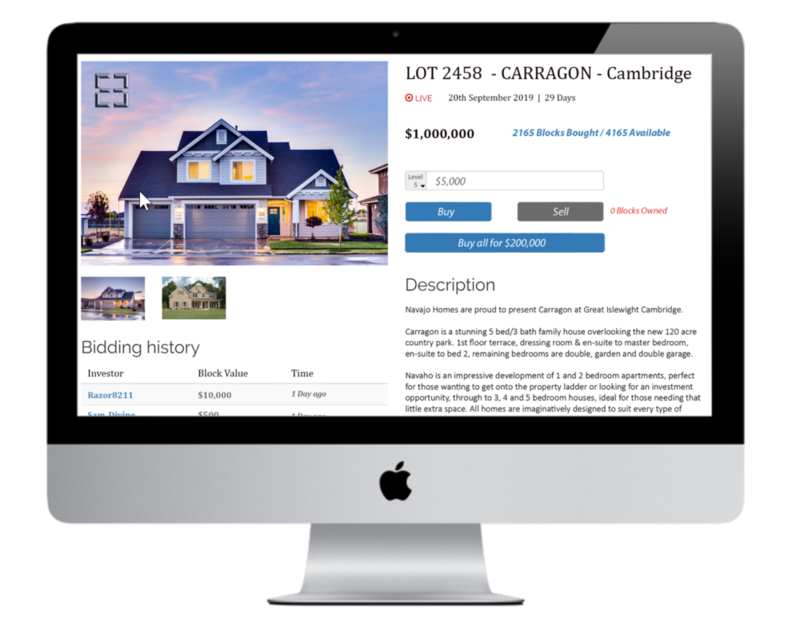 You can sell your blocks (shares) through our online auction feature or directly through Peer 2 Peer exchange with any of our members meaning your returns on a highly sought property are worth as much as anyone is willing to pay for it! Payment is made by Smart Contract or paid directly into your bank account in FIAT cash. Your Private key gives full control of your assets and payments on the ELAD Network platform. An Artificial Intelligence agent will provide 24hr support with exceptional customer service, creating a platform that anyone can use at any time, anywhere in the world! ELAD Network is dedicated to using cutting edge technology to create new possibilities. The way in which we trust, connect and exchange with others has changed for the better. Our vision is to decentralise transactions commonly used in the real estate industry. We will make the entire process transparent to give ordinary people a chance to be part of deals that have traditionally been kept behind closed doors. No brokers and no middlemen. Faster, easier and cheaper to buy, sell and invest in real estate. Sign up and receive our news and updates. We respect your privacy. Thank you! You will receive our next newsletter soon.